The federal government has banned the importation of plentiful and affordable Russian ammo, using an obscure “vaporware” Polish firearm as an excuse to suddenly call the ammo ‘armor piercing’. The ban of this affordable ammo comes on the heels of DHS buying 1.6 billion rounds of ammunition (depleting the market) and the closure of the last lead smelter plant in America by the EPA, which has effectively dried up ammunition supply lines and driven up costs greatly. The feds are preparing for war with the American people, and drying up supply lines is part and parcel to any war. The feds recently used an obscure “vaporware” Polish firearm as an excuse to outlaw the importation of cheap and plentiful Russian ammo into the United States. The BATFE has determined the 7N6 cartridge is armor piercing and therefore illegal under the Gun Control Act (GCA) of 1968 as amended in 1986. As noted by The Bangswitch blog on Tuesday, the Russian ammo was not an issue with the federal government until the suspicious introduction of a 5.45×39 handgun on the U.S. market. “Until one did appear, 7N6 surplus could flow freely from Russia, Ukraine and other sources. However, it would only be a matter of time before someone got the bright idea to produce a 5.45×39 pistol domestically or someone applied for a Form 6 to import one,” the blog reports. 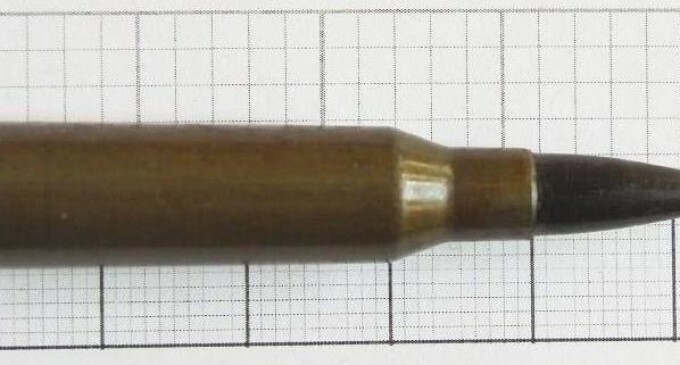 The federal agency’s “determination applies only to the Russian-made 7N6 ammunition analyzed, not to all 5.45×39 ammunition. Ammunition of that caliber using projectiles without a steel core would have to be independently examined to determine their importability,” the advisory states. Gun Owners of America, in a post in Ammoland, characterizes the BATFE ruling as a “strained and perverted reading” of what constitutes armor piercing ammunition. The ruling constitutes government fiat without any statutory authority whatsoever, according to the Second Amendment advocacy group. The sneaky back door ruling is designed to shut down a much needed source of affordable and readily available ammunition. Moreover, the move appears to have an underlying political dimension due to the fact the ammo is imported from Russia, once again an officially denoted enemy following developments in Ukraine. Unable to ram through draconian gun laws in Congress, the Obama administration and assorted federal government agencies are working behind the scenes to dry up and shut down the availability of ammunition. we need to BAN the EPA, and stop the DHS from buying more AMMUNITION than it needs at a time. All at the direction of Obummer. One more of Obama’s, take overs, to leave us defenseless! I never thought I would live long to see the day I couldn’t find ammunition in the country that I served in the Army. Democrats your Party is trying to take Your Guns and Civil Rights away from You.